Based on the history of the region, with a comic book as a guide, this walk is a treasure hunt for children in the mountains. 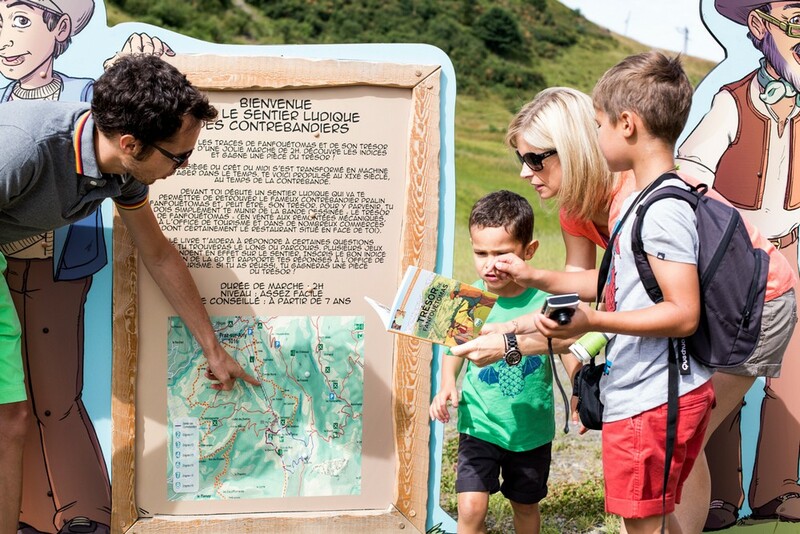 Fun educational panels lead you to a secret code to solve a mystery at the top of the Crêt du Midi chairlift. 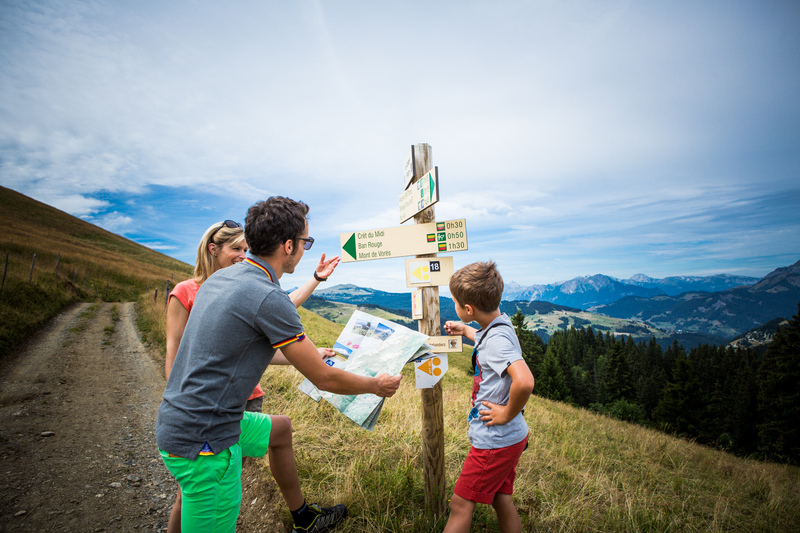 A two-hour family walk at 1,700 m to find Fanfouétomas’s treasure! Fanfouétomas comic book (44 pages, 5 €) on sale in shops and at the Tourist Office. 3 walks, 3 levels: from the easiest to the most difficult! 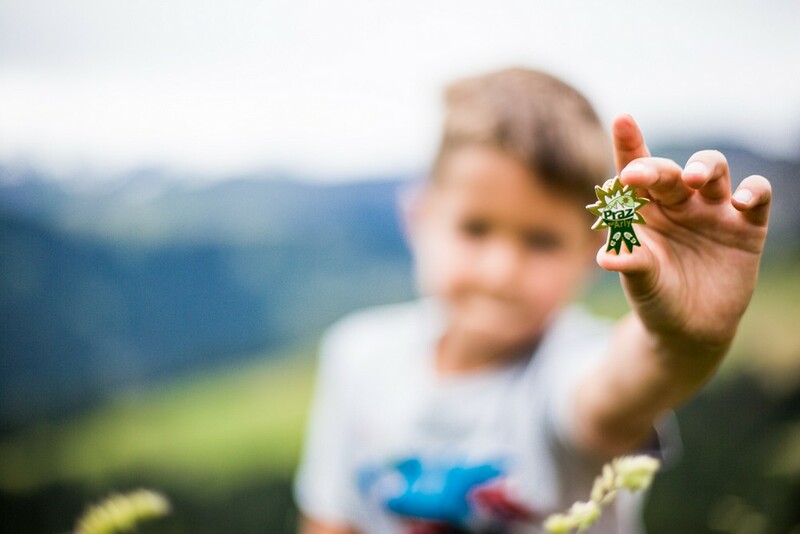 It’s simple: on presentation of a photo of the young walker (on a camera, smartphone) on one of the three summits, a diploma and medal (in the shape of an edelweiss) will be awarded depending on the level of difficulty. All three walks are less than 2 hours. – Ban Rouge (GOLD STAR) One of the highest summits in Praz sur Arly. At 1,983 m, you have a 360° view of 3 mountain ranges: the Aravis, the Beaufortain and the Mont Blanc! Altitude gain: 253 m (from the Crêt du Midi chairlift). Walking time: 2 hours. – The Evettes Lake (SILVER STAR). This is an easy walk of about one hour and 50 minutes. The mostly forested itinerary brings you to the banks of a little mountain lake. Altitude gain: 270 m. Walking time: 1 hour 50 mins. – The Epines Blanches (BRONZE STAR). This is a panoramic circuit facing the Mont Blanc range and the whole of the Val d’Arly. A chance to discover numerous old farms dotted along the way before arriving at the forested part. Altitude gain: 190 m. Walking time: 1 hour and 15 mins. 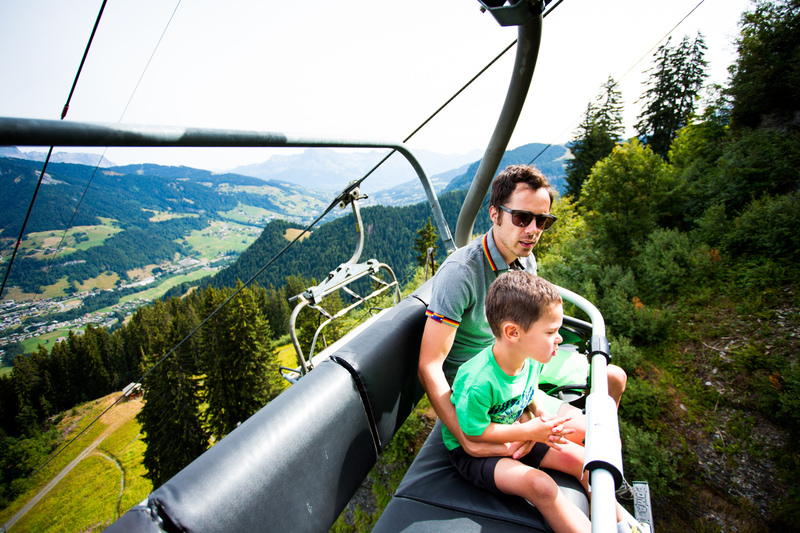 Reach the summits of Praz-sur-Arly in only a few minutes with the 6-seater Crêt du Midi chairlift. Climb to 1,700 metres in 10 minutes! The top is the start of numerous hikes including the Smugglers’ Trail. Rates: Adult ascent (from 17 years): 6.90€. Child ascent (6-16 years inclusive): 5€. The descent is free. Opening period: from Wednesday 6 July to Wednesday 31 August 2016. Open on: Tuesday, Wednesday, Thursday, Saturday and Sunday from 9.30 to 16.30. 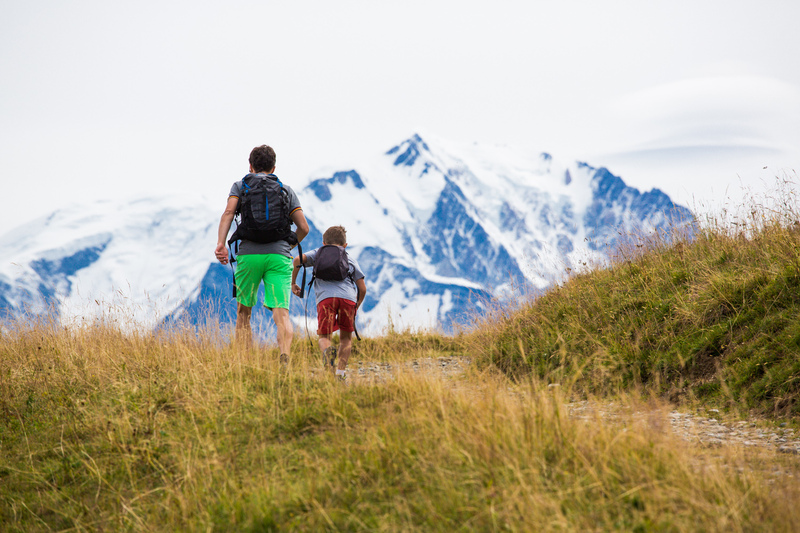 Find your ideal hike around the village of Praz and in the Pays du Mont-Blanc with the help of the “Belvédères of the Mont Blanc” hiking map.With a presentation guide of over 50 itineraries, go off and discover 300 km of marked trails. On sale at the Tourist Office: 6€. Accompanied by a musher, discover the mountains in a different way with the help of a sled dog! 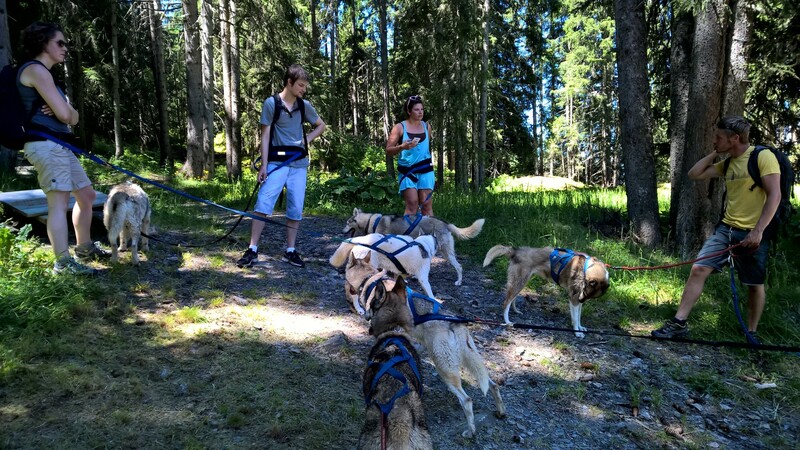 Two companies offer activities with sled dogs.